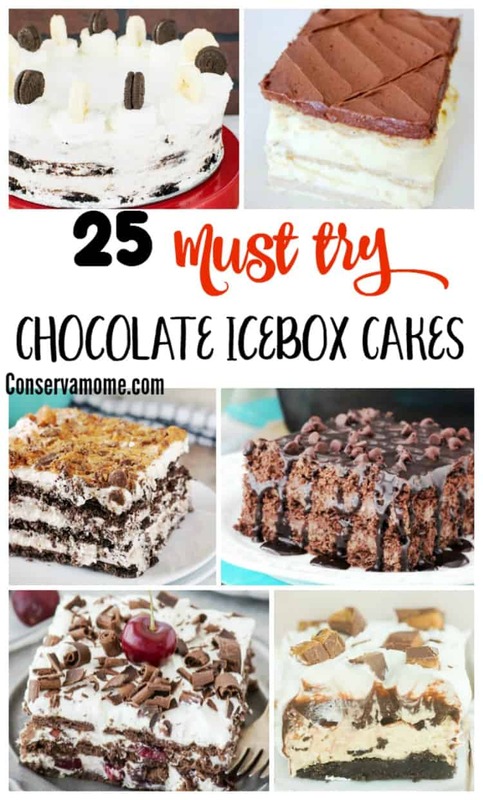 You can have your cake and eat it too with these simple and delicious 25 must try chocolate ice box cake recipes. Who doesn’t love a little chocolate in their life? With summer in full swing having a cool & refreshing chocolate treat is an absolute must. Icebox cakes are all the rage now, why because of how easy it is to make them and how delicious the end product is. Most important it gives you a delicious creation for any birthday, party or gathering without slaving away in the kitchen for hours. The best part is that you can make them ahead of time giving you extra time to worry about other things. Ice Box cakes come from a similar desserts such as the charlotte and the trifle. It was first introduced to the US during World War I. Its popularity took off in the 1920s and 30s, as it used many commercial shortcuts and pre made ingredients. In response to the dish’s popularity, companies that manufactured ingredients for the cake, such as condensed milk and wafer cookies, began printing “back of the box” recipes. Looking for other great chocolate recipes? check out 12 decadent chocolate cake recipes!